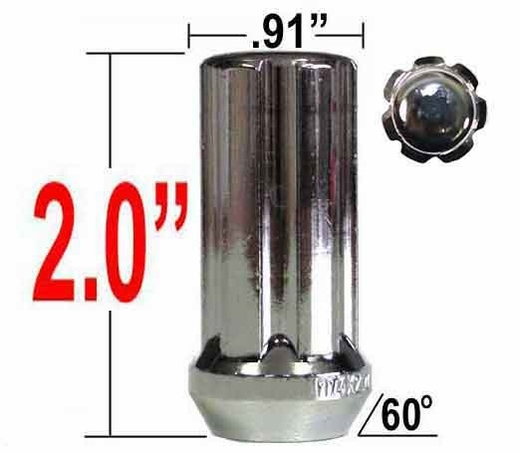 Requires a 7-Spline Lug Nut Key #98-0410 for installation/removal. Wheel specific Gorilla Chrome Small Diameter Tuner lug nuts will maintain the factory standards. 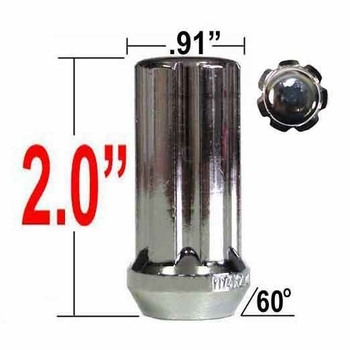 These high quality Gorilla Chrome Small Diameter Tuner lug nuts are engineered and manufactured using high quality hardened steel. Quick replacement is a plus with Gorilla Chrome Small Diameter Tuner lug nuts. Upgrade your lug nuts with a new set of Gorilla Chrome Small Diameter Tuner lug nuts.